Yesterday marked Day One of our weeklong fundraising drive to raise $20,000, and what a way to kick things off. As of this morning, 52 supporters have given $4,945, bringing in $6,150 in matched funds for a total of $11,095! If you gave already, thank you for your incredible generosity. 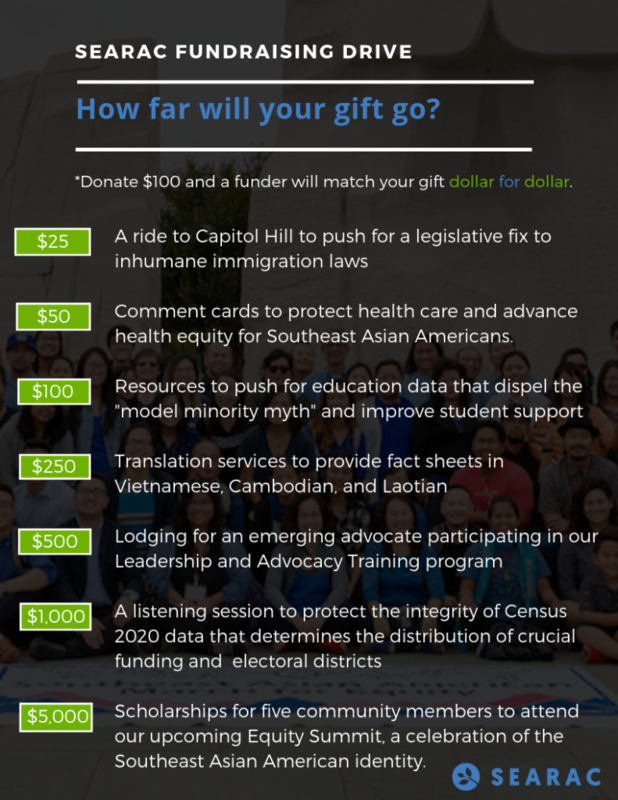 Your gift will help fuel the work we are committed to accomplishing in 2019, which is not only our 40th anniversary year but also the 20th year of our flagship Leadership and Advocacy Training program. To date, we have graduated more than 1,000 advocates from 22 states. 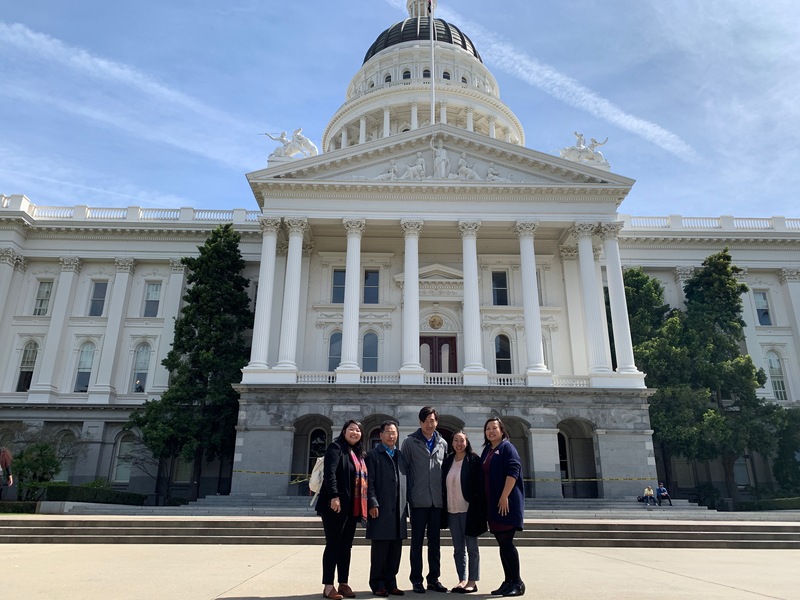 Through our hands-on program, current and future Southeast Asian American leaders, organizers, activists, and allies-like Jannette Diep, pictured at right-learn more about the national policy issues that drive SEARAC’s work and utilize their advocacy skills during legislative visits. 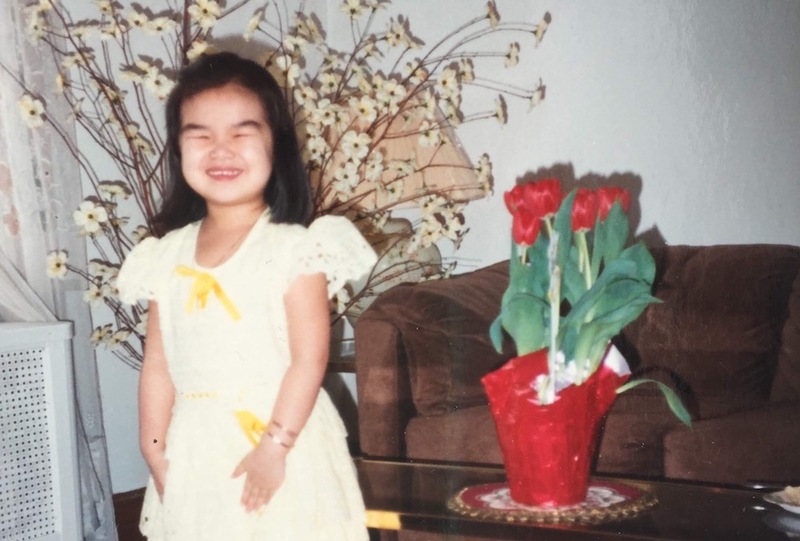 As part of our LAT program, Jannette enhanced the skills she already has as executive director of Boat People SOS-Houston and received further training on how to communicate the stories of the local Vietnamese community she serves. Not only did she share these narratives with her elected officials in Congress, but she was also able to bring this advocacy framework back to the community-based organization she helms. Did you know that last year alone, we received 175 applications to the LAT program–but could only accept 50 individuals? With your gift on this #GivingTuesday, we can expand our yearly cohort and train even more advocates like Jannette and the other community leaders who applied. 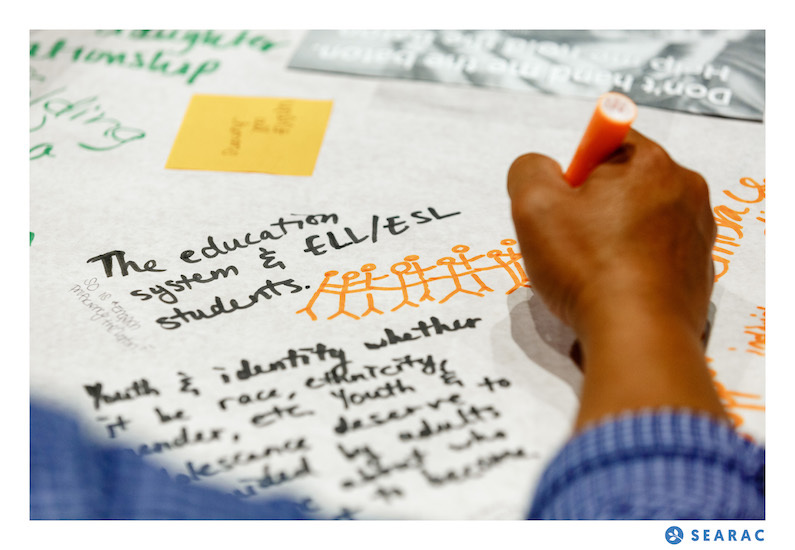 Your support will help shape the next generation of social change agents. Thank you for being part of the movement. We are grateful to fight this fight alongside fierce supporters like you. P.S. Donations of $100 or more will receive a generous 1:1 match so that they are essentially doubled. 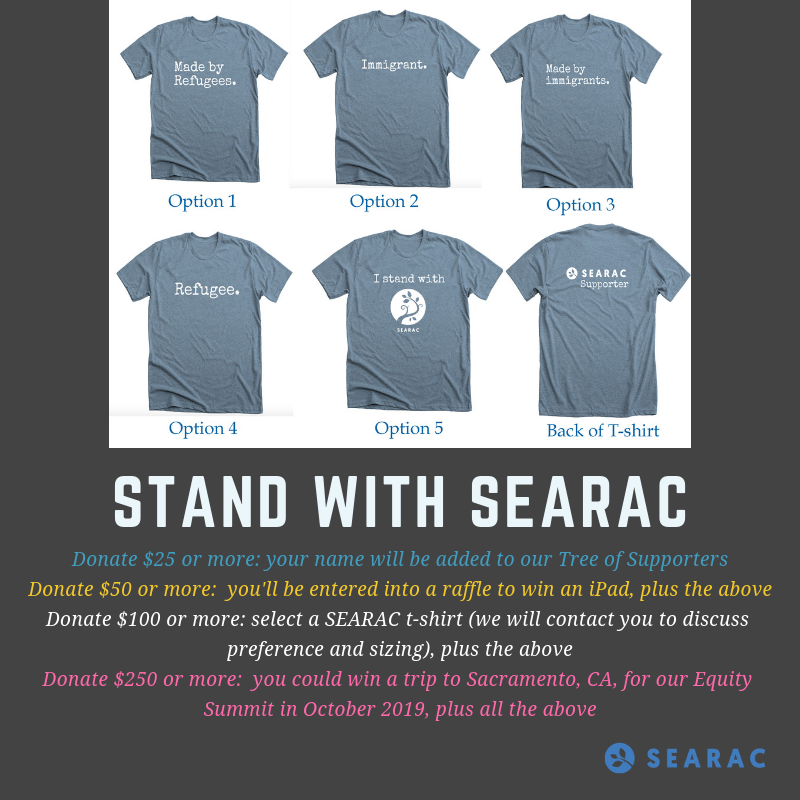 As a thank you, you’ll get a special SEARAC T-shirt and will be entered into a raffle to win an iPad. And the good news keeps coming: your donation will also help us meet another $2,000 matching gift!